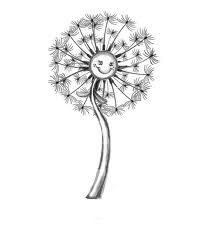 Sowing Dandelion Seeds: View Blogs "Dynamically"
Have you heard that you can view Blogger blogs "dynamically"? Check out Blogger's dynamic viewing options. You can view a Blogger blog in five different styles: Flipcard, Mosaic, Sidebar, Snapshot or Timeslide. Click here for an example of "Sowing Dandelion Seeds" snapshot style. In this format you see all the pictures from a blog with a summary of the written content when you hover over it. Timeslide is a great version if you want more written content revealed. When you click on a specific picture or title you see the full blog post. The drop down menu on the right lets you switch from one style to another. The spot on the left that says "Sowing Dandelion Seeds" is where you can click to enter the url of another blog. It's a new way to browse blogs -- what fun! Gahh, too many choices! I'm having trouble keeping up with my regular blog. Plus, there's Pinterest and Facebook. Hope you're enjoying summer, Chelsea. Jodi, I know what you mean about too many choices... But I think this would be a great way to find Pinterest inspirations! I hope you're having a great summer too! Chels, if you're on pinetrest, find me! I'm soooooo there all the time. We both have Despicable me cupcakes! What are the chances of that?!?! Pretty cool...I didn't know this. Thanks for sharing!